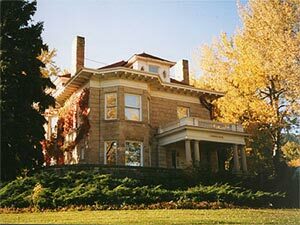 The Boulder Historical Society and Museum was founded in 1944 by A.A. "Gov" Paddock, then publisher of the Boulder Daily Camera. The organization, now called the Boulder History Museum, is located in the historic landmark Harbeck-Bergheim House on University Hill in Boulder, Colorado. A private-not-for-profit organization, it is governed by a board of trustees of 18 community leaders and has a staff of five. The Museum is open four and a half days each week and exhibits artifacts from our collection of over 30,000 objects of historical significance donated by Boulder area families over the past sixty years. The Museum rotates its displays 2 or 3 times a year in hopes of providing new and interesting exhibits to showcase its collection and highlight Boulder's own unique history for the enjoyment of the general public. It also conducts programs and activities for youth and adults, publishes a bi-annual newsletter with historical research, and produces an annual community event, 'Boulder History Day' in May. Its collection of over 200,000 photographs and 700,000 historic documents is housed at the Carnegie Library for Local History where it is available to the public and researchers.